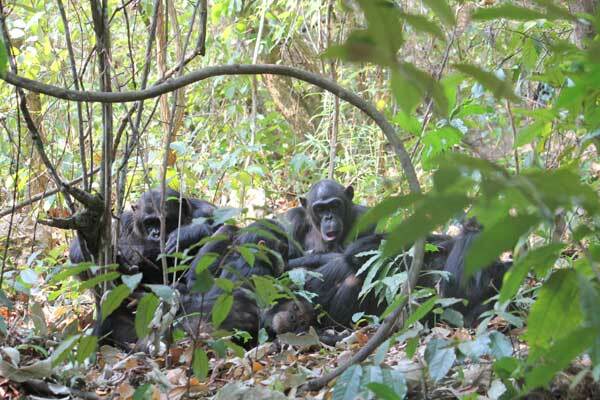 At Gombe Stream National Park, we observed more than 16 chimpanzees of Kasakera group and behaviors such as children's playing, two groups joining together, greeting each other and grooming within a group. At feeding scene, we observed them not only eating fruits but also eating pulp of liana and flower of palm nut tree and termite fishing. At Kigoma, we visited JGI Tanzania's office. 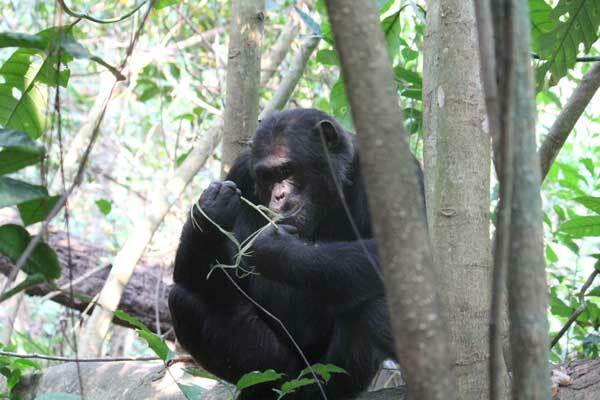 We observed the reborn forest and Dr. Collins explained us about TACARE's activities that protect forest and improve standard life of local people and also about importance of these activities on chimpanzee's conservation. At Serengeti National Park, we observed a lot of mammals and raptorial birds during 2 days game driving. We observed giraffes and elephants that usually we can see only few individuals in zoo organizing group of more than ten individuals. 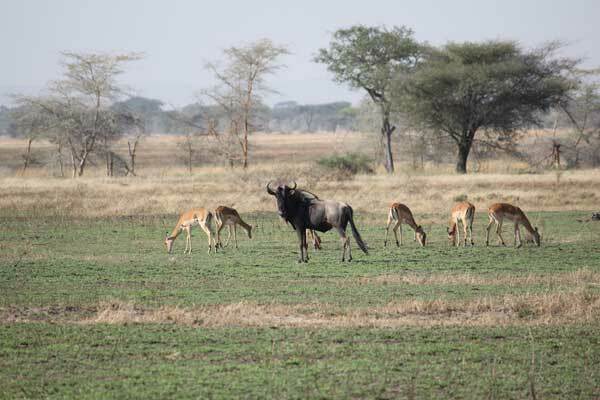 We observed groups of different size and configuration such as groups of Impala, zebra and gnu. We observed giraffe rolling back its neck and elephant bathing in the mad water which can be seen also in zoo.